The good news for all F#/SharePoint lovers! As I learned today, 64 bit version of fsi already available as a part of F# 3.0. It is FsiAnyCPU.exe (at C:\Program Files (x86)\Microsoft SDKs\F#\3.0\Framework\v4.0). These mean that now we should be able to connect to the SharePoint directly from fsi. It’s really cool !!! 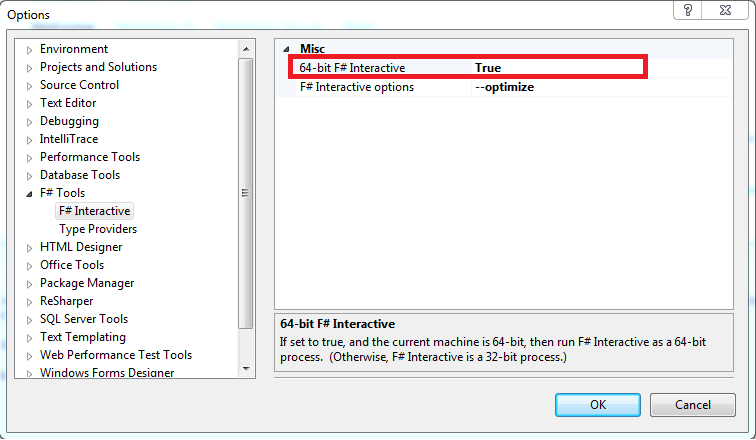 As I see, into vs2012 we can choose version of fsi from Tools->Options. P.S. Great thanks to the Mauricio Scheffer for great news.